NEW DELHI: China Mobile Research Institute, China Mobile Shanghai and Huawei have jointly established a 5G trial field to verify 5G High Band and Low Band Coordination Technology at Huawei’s Shanghai R&D Center. China Mobile Research Institute, the research division of China Mobile, was set up in 2002 with about 20 employees. “This field can meet the requirements of the verification to the 5G systematic prototype, and possesses the capability to verify 5G network performance and key technology with a high degree of simulation in real networks. Furthermore, this field also can be used to showcase the innovative experience of the new service enabled by future 5G technology,” a statement said. “Therefore, the establishment of the field is of great importance to promote the maturity of 5G technology and industry. 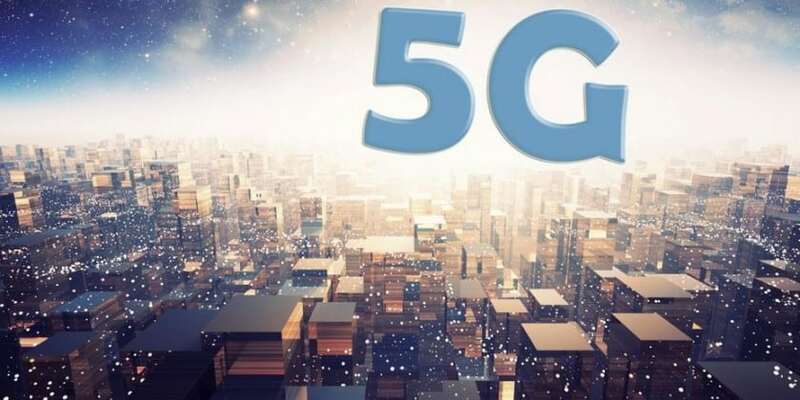 After the completion of the 5G trial field which includes 7 sites of 5G low band with continuous coverage as planned, we will meet the technological prerequisite to test and verify the 5G use cases before the commercial launch of 5G,” it said. “The test result which Huawei and China Mobile Research Institute, and China Mobile Shanghai jointly performed demonstrated that the average user data rate can reach to 1.7Gbps with a bandwidth of 200 MHz on the low frequency. In the meantime, with the prerequisite of the high reliability, mmWave frequency technology can improve the network capacity in hot spots effectively on dual connectivity modes with both 5G low frequency and millimeter wave networks. The 5G dual connectivity network can provide 18Gpbs for single user peak throughput,” it added. On the other hand, the 5G trial field can provide the capability of high bandwidth, low latency, to support the upload to the ultra-high resolution streetscape taken by a 360 panorama camera. And, accordingly, end users can enjoy the immersive organoleptic experience in real-time which is produced by the 5G trial network via the VR terminal remotely. China Mobile and Huawei have kept collaborating on 5G technology research and the development of the industry. Both sides will continue verifying 5G key technology and use cases, follow up, invest in construction on a large scale to meet the verification requirements of 5G innovative technology and produce new use cases emerging in large numbers. Thus, this will positively contribute to the 5G global standardization and the development of the industry. Moreover, Huawei and China Mobile, working with vertical industries will positively perform the test of 5G automotive networks using the 5G high bandwidth and low latency, such as Tele-operated Driving (ToD), to explore the digital transformation road of all the vertical industries enabled by 5G. The speedup of the 5G standardization is ongoing, the first version of the 3GPP 5G standard will be completed by the middle of 2018. We should work hard to research and verify the 5G key technology, and make the 5G standard with leading and flexible features, to realize 5G and fulfill our historic mission to enable the digital transformation of all the industry. Huawei, China Mobile to verify 5G high band, low band coordination technology 0 out of 5 based on 0 ratings. 0 user reviews.